The Table Tennis section at the Holbrook Club is thriving and we are keen to encourage more players to come and join us. We cater for a wide range of abilities and provide both competitive and social play. We run teams in the Crawley and Horsham District Table tennis League (www.tabletennis365.com/crawleyandhorsham). Club night is on a Monday evening and this is a busy, fun session for both league and social players. General play is also available on a Wednesday evening and the tables can also be hired at various times throughout the week. We are looking to increase the number of league teams we run. 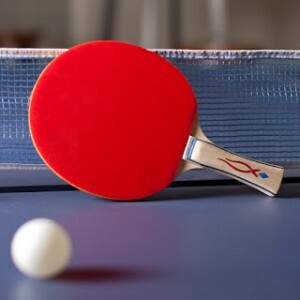 If you are an experienced table tennis player and particularly if you prefer a smaller venue in comparison to the large hall with multi-tables as is common for table tennis today, Holbrook may be the club for you. As a member, you also have access to the many other sport and entertainment facilities at the Holbrook Club. For more details please call 01403 751150 or email office@theholbrookclub.co.uk. Please complete the form below to submit your query and we will look to respond to you in a timely manner.